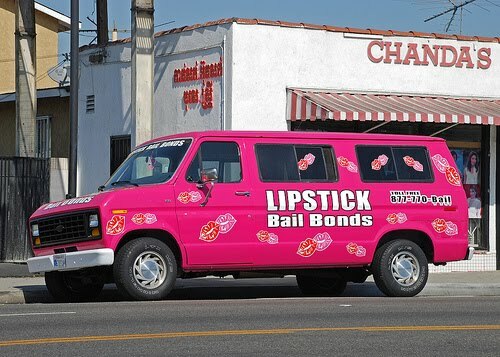 Love is in the air, and kisses are floating around my neighborhood in east Long Beach, Calif., because of one reason, and one reason only: Lipstick Bail Bonds. For the longest time, this bail bonds company has been parking part of its 24-car fleet on streets close to my home. Whenever I, my 4-year-old or 2-year-old pass these pink cars decorated with lips, we involuntarily make kissing sounds. These cars are vehicular versions of mistletoes. Part of me says because these nicely decorated cars are for a bail bonds company that they are not classy. However, I must admit I like how they look and enjoy it when my daughters making kissing sounds as we drive by them.